Should Marxists Support Venezuela’s New Socialist Party? President Hugo Chávez’s call for a new socialist party in Venezuela has provoked widespread discussion and debate among socialists in Venezuela, across Latin America, and around the world. The liveliest discussion in the English-speaking left has been a public debate among supporters of the International Socialist Tendency (IST), a loose affiliation of groups in about 25 countries. Identified historically with the view that the post-1928 Soviet Union was a state-capitalist society, this current has recently been among the most consistent and effective builders of the international movement against the U.S.-led war in Iraq. The IST discussion deserves careful attention from partisans of socialism around the world, because it focuses on fundamental issues about our attitude towards the new wave of struggles now being waged in Latin America. The IST’s affiliates have defended Venezuela and the Chávez government from imperialist attack and have helped to expose Washington’s efforts to destabilize the Bolivarian government. But they are not unanimous on what policy socialists in Venezuela and internationally should adopt towards the United Socialist Party of Venezuela (PSUV), which is now being organized. Chávez called for a new mass party in December 2006, as a means of breaking through the bureaucracy, cronyism and corruption that have long characterized Venezuelan politics. He described it as "a political instrument at the service not of blocs or groupings but of the people and the Revolution, at the service of socialism." Socialist Voice was enthusiastic about the proposal: "If built as Chávez advocates, the new party could solve the central challenge facing the Bolivarian movement: that of linking the worker and farmer base together with their chosen leadership in a cohesive, democratic political movement." The British Socialist Workers Party, the most prominent organization in the International Socialist Tendency, had a different view. Writing in Socialist Worker, SWP leader Chris Harman said the Venezuelan workers need to fight for socialism, but "Chávez merely decreeing from above that all the political forces that have defended him should unite into a single party will not make this happen." In a subsequent article, Harman described the PSUV as Chávez’s "from above" attempt to overcome "the chaos" in Venezuela. The PSUV includes, he wrote, three political currents: those who want to stop any further social changes, those who want "a Cuban-style authoritarian regime," and those who want "the destruction of capitalism and genuine revolutionary democracy." "A party, in the real meaning of the term, is an organized current of people committed to a single political orientation. … The attempt to combine in a single organization what are effectively three different parties cannot overcome the chaos." Harman was particularly critical of the plan to base the new party on the thousands of communal councils that have been formed in neighbourhoods, towns and cities across Venezuela. Community-based structures, he wrote, are "open to manipulation from above." Rather, Venezuela needs "class movements arising from the point of production … a central focus based on those connected to the means of production" and "rank and file soldiers’ councils" in the military. It was not clear whether Harman was arguing that socialists should call for workers’ and soldiers’ soviets in Venezuela now, or should simply criticize the PSUV for not being based on such organizations. 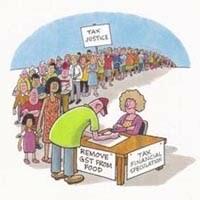 On May Day, 2007, the New Zealand affiliate of the IST issued a statement that expressed a quite different view. Describing the Bolivarian revolution as "the most important leap forward for the workers’ cause since the 1917 Bolshevik Revolution," they urged "all revolutionaries inside Venezuela … to join this mass socialist party" and called on "revolutionary groups in other countries … to establish comradely relations with the PSUV." 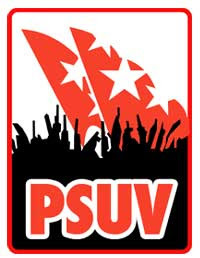 Their statement was unequivocal in its endorsement of the new party: "Socialist Worker-New Zealand believes the PSUV is vital to educate, unite and organise the grassroots masses in Venezuela so they can push forward the socialist revolution." The statement rejected the idea that the presence of multiple political viewpoints is a barrier to building the PSUV: "It would be utopian to think that the PSUV could be an instantly homogenous party of revolutionaries. It will, however, be a mass socialist party with organic connections to grassroots people who support the unfolding revolution. The process of building the PSUV will challenge the reformist wing of the Bolivarian movement and precipitate a ‘battle of ideas’ in which the masses will participate." The New Zealand statement called on the IST to begin "facilitating this global debate among all Marxist groups." "The forward movement of the Venezuelan revolution and the wider Latin American uprisings look likely to provide the essential material foundations for a positive regroupment of the socialist and radical left on every continent, and the parallel emergence of a mass socialist international." UK SWP leader Alex Callinicos responded to the New Zealand statement on May 24. He repeated the SWP’s commitment to "defending Chávez and giving solidarity to the movement in Venezuela," but added a qualification: "the most important single internationalist task of revolutionaries today is to build the international movement against the ‘war on terrorism.’"
As for Chávez: "He presides over a bureaucratic state machine that continues to sustain capitalist social relations against the mass movements on which any real revolutionary breakthrough depends." Chávez, in Callinicos’s view, is engaged in a "constant balancing act between the state and the mass movements that he is constantly forced into." The PSUV is a "forced merger" that is in danger of becoming "a bureaucratic transmission belt for the government." Callinicos approvingly referred to Chris Harman’s assertion that the PSUV "cannot provide an answer … cannot overcome the chaos." Similarly, the International Socialist Organization, Australian affiliate of the IST, wrote that "the PSUV cannot in any sense be conceived as a revolutionary party," and that "It is a mistake to uncritically support Chávez’s confused and eclectic strategy." Socialist Worker-New Zealand had called for a global debate that extended beyond the ranks of the IST, offering to publish contributions on their website, UNITYblog. About a dozen groups and individuals from various countries have responded to date. "From what I can see, the NZ Socialist Worker has sought to proceed from the reality of the socialist revolution in Venezuela, not from an abstract measurement of a socialist revolution that demands any revolution has to score enough points on a scorecard to be recognised." Socialist Voice editors Roger Annis and John Riddell contributed their views in an article that was also published in Socialist Voice #128. Agreeing with Callinicos that "opposition to the war against Mideast peoples is the most urgent task of world solidarity," they nevertheless insisted that the Venezuelan revolution is "creating an historic opportunity to strengthen international anti-imperialist collaboration and rebuild the revolutionary socialist movement worldwide." They warned against the temptation to "exaggerate the gains of the Venezuelan process or to project onto it our own hopes and goals." "The revolution is now unfolding within the framework of a struggle against imperialism and for national sovereignty and democratic rights. Capitalism still dominates the Venezuelan economy, shaping the daily existence of working people. Capitalism is now balanced against the growing power of working people, and this uneasy coexistence could continue for some time." "Venezuela's Bolivarian revolution is still in its early stages. Yet as it moves forward, it will — like the Russian revolution of 1917 and other great revolutions of the 20th century — become a test for all tendencies in the workers movement, dividing those who identify with and defend real-world revolutions from those who remain in sectarian isolation…. "The founding of the new party offers revolutionary forces the possibility to unite against bureaucratic and patronage-ridden political machines and against left sectarianism. It is a creative process that deserves support." Annis and Riddell placed particular stress on the importance of Venezuela’s close relationship with Cuba. "These two peoples, acting in concert, are now the vanguard of a popular upsurge across much of Latin America and the Caribbean." On July 7, Socialist Worker-New Zealand issued a Second Statement on the Venezuelan Revolution, which took up the relationship between leadership and mass movement in Venezuela. "For some socialists, only the mass movement is propelling the revolution forward, while Chávez merely responds to pressures ‘from below.’ This analysis essentially characterises Chávez as someone unwillingly pushed along by the movement, whose main interest is trying to cling to power in the same way a reformist leadership might do. "A socialist leadership based on the masses and promoting their self-emancipation transcends the reformist dichotomy of ‘from above’ and ‘from below.’ "
They reiterated their view that "serious revolutionaries must be inside the PSUV, helping the party to integrate Marxist theory with the often unique practice of a real-life revolution." "Sadly, some ‘revolutionaries’ inside and outside Venezuela seem to believe an alternative ‘pole of attraction’ to the PSUV must be built. Yet standing outside the mass socialist party would be to invite sectarian isolation from the masses." "Anti-war activism and Venezuelan solidarity are two sides of one coin. Each needs the other. That’s why Chávez and the Bolivarian Revolution are an inspiration to freedom fighters across the Middle East. By refusing to prioritise one struggle over the other we don’t buy into imperialism’s bid to divide-and-rule the global grassroots." "There were debates throughout the movement as to whether to register. The problem was, and is, that none of the structures or aims of the PSUV have yet been defined…. "Chávez has announced that the PSUV will not be a Marxist party nor will it be based on class. The base units of the new organisation are to be geographical. This points to an electoral machine based on constituencies." In Gonzalez’s view, the mass movement must remain independent of the PSUV if it is the party of government. "If, on the other hand, it becomes the political expression of that movement, challenging and questioning the government of Hugo Chávez, it will be a very different party from the one that is being built today." Daphne Lawless, a leader of Socialist Worker-New Zealand, responded that Gonzalez’s article was "one long missed opportunity." "His report seems to begin from a fixed idea — that a workers' revolutionary movement can only grow in opposition to the government of Hugo Chávez. This is a regrettably short-sighted attitude that neglects the mutually reinforcing dialectic between Chávez's government and the mass movement…. "The pessimistic scenarios envisioned in Mike's report can be prevented if Venezuelan revolutionaries join and help build the PSUV — and if those of us overseas seriously engage with it." The Canadian affiliate of the IST, the International Socialists, has not participated in the public debate, but one of its best-known leaders, Paul Kellogg, recently published his views on the PSUV, describing it as "an enormous step forward in the advancement of the Bolivarian process in Venezuela." "The first job of socialists in an oppressed country is to be with the mass struggle against imperialism and for sovereignty. Clearly the new vehicle which will express this struggle will be the PSUV. "In fact, the stronger the left wing is inside the PSUV, the more the movement will be well placed to deal with the inevitable careerism and opportunism that will accompany an initiative on this scale. "The second — and equally difficult job — is to make the links, in theory and in practice, between the fight against imperialism and for sovereignty with the need for a complete break from capitalism, and a new state of democratic socialism. "A left current with that perspective that enthusiastically joins the PSUV will be able to begin that work. "The job of the left in Canada and the Global North is to publicize this process inside our social movements, and to be prepared to move quickly to oppose any attempt by imperialist governments to intervene and crush the mass movement in Venezuela and elsewhere in Latin America." One of the most important lessons of the revolutionary struggles of the past century is that every mass social upheaval has new and unexpected characteristics. Revolutions are complex events that evolve in unpredictable ways, making use of the human and social raw material that is at hand when the struggle breaks out. That lesson is being taught again today by the social upheavals in Latin America and the Middle East. The challenge before Marxists is to understand and relate to new forms of struggle, new issues, and new leaderships. The lessons of these events cannot be learned from the sidelines: to understand them, we must be participants and partisans, actively engaged in the struggle. The IST’s discussion of Venezuela is a concrete example of how a real revolution promotes engagement, rethinking, and debate among socialist and anti-imperialist forces internationally. It’s a vitally important process, one that all Marxists are challenged to join. John Riddell. "Chávez Calls for United Socialist Party of Venezuela." Socialist Voice, Jan. 11, 2007. Chris Harman. "Venezuela, Hugo Chavez and permanent revolution." Socialist Worker, Jan. 27, 2007. Chris Harman. "Latin America: the return of Popular Power." International Socialism, Spring 2007. Socialist Worker — New Zealand. "Venezuela's deepening revolution & international socialist coordination." UNITYblog, May 6, 2007. Alex Callinicos. "The Venezuelan Revolution and the IS Tendency." Unityblog, May 28, 2007.
International Socialist Organization (Australia). 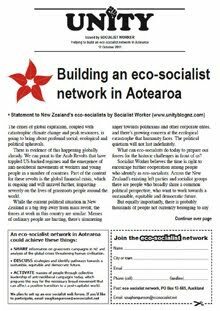 "Response To Socialist Worker-New Zealand From National Executive." UNITYblog, June 18, 2007. Stuart Munckton. "Much Common Ground on Venezuela." UNITYblog, June 26, 2007. Roger Annis and John Riddell. "Venezuela and the International Struggle for Socialism." UNITYblog, June 25, 2007. 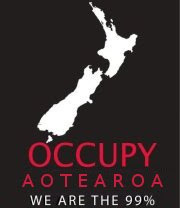 Socialist Worker — New Zealand. "The Bolivarian Revolution & Socialist Internationalism." UNITYblog, July 9, 2007. Mike Gonzalez. "Questions mark the birth of Hugo Chavez’s new party." Socialist Worker, July 28, 2007. Daphne Lawless. "Mike Gonzalez on Venezuela: a reply." UNITYblog, Aug. 8 2007. Paul Kellogg. "Venezuela: Chavez Calls for a New Party." Socialist Worker (Canada), Aug 13, 2007. John Riddell. "Venezuela Shakes the Empire: Why Socialists Support the Bolivarian Struggle for Sovereignty and Latin American Unity." Socialist Voice, Feb. 18, 2007. Federico Fuentes. "Venezuela’s Revolution Accelerates." Socialist Voice, May 2, 2007.